2019 MIND BODY SPIRIT FESTIVALS. LIVE in the Speakers Lounge. 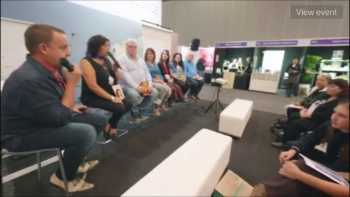 Introducing the empowering LIVE LOVE LEARN Animal Dreaming Publishing AUTHOR PANEL that’s centred on LIVING LIFE, LOVING LIFE and LEARNING ABOUT LIFE; essentially a unique opportunity for people who need to see that anything is possible with a little effort and willingness to take responsibility for your life. With such a diverse cross section of people on stage at the same time, speaking about the similar things from a multitude of viewpoints and platforms, from various origins, trainings and disciplines, it’ll soon become evident to those listening that all our authors – in one way or another – want to help people, inspire people and offer them tools to heal, grow and prosper. And that’s the motivation for bringing all our authors together to speak at the one event. What a wonderful platform to showcase ‘what we do and why we do it’. We hope you agree. You’ll also hear our authors speak about their books, their journey to become authors, what inspired their decision to GET PUBLISHED and the trials and tribulations of overcoming feelings to self-doubt, self-worth, fear and ‘not being qualified’ while writing their manuscript, especially those who had never written anything before. Animal Dreaming Publishing has ‘toured’ their authors’ panel around Australia, featuring on main stage at (to name a few festivals) Sacred Mist’s ‘Psychic and Wellbeing Expo’ in Caulfield, the Conscious Living Expo in Melbourne and the Festival of Dreams in Sydney, as well as all the iconic Mind Body Spirit Festivals in Melbourne, Sydney and Brisbane to warm and receptive audiences, many of whom were visibly touched by the author’s stories of courage and commitment, with many wiping away tears, cheering and rushing the authors for autographs after the event. Animal Dreaming Publishing is an Australian-owned assisted self-publishing company based in the picturesque Northern Rivers Hinterland of Northern New South Wales.